The Lime: Wanna give Sean Paul Birthday Greetings in Person????? 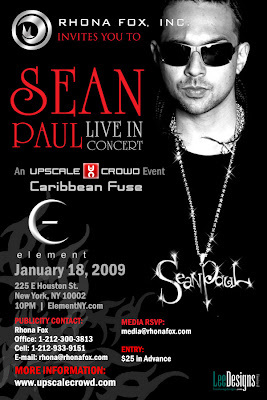 Wanna give Sean Paul Birthday Greetings in Person????? Sean Paul just launched a new website. So go there to get info on tour dates, music videos and interact with other fans.